We absolutely love having volunteers assist us on the farm here at Jupiter Creamery. This past month, we had some dear helpers around to settle down the farm at the end of the day. Not an easy set of tasks but almost always more enjoyable in nature and with family and friends. We opened coconuts to feed the cows and chickens, distributed food to the pigs, moved huge stacks of hay, and offered a few vegetable treats to the cows while petting them as the sun was setting. 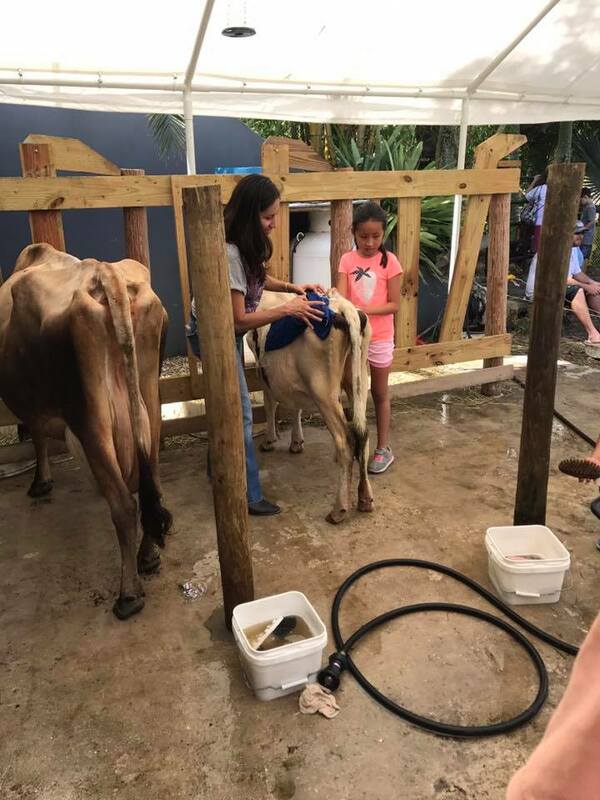 Volunteer opportunities at Jupiter Creamery are plentiful! Please ‘like’ us on Facebook to see when the farm is open and when we are seeking help. Read more about Jupiter Creamery’s nonprofit mission here! While there is a bit of elbow grease involved, volunteering at our farm also allows you to be outside and among fresh air and greenery while farmer Suzie shares her exceptional knowledge on farm life. 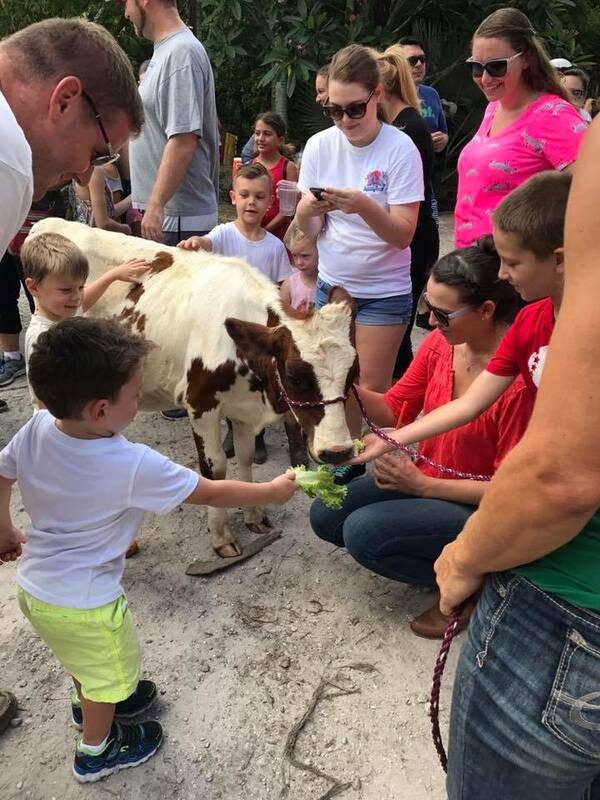 It’s a win-win for all and a truly unique South Florida Farm experience. We want to thank those who generously offered their time and assistance at our beautiful and vibrant South Florida Farm. While we enjoy doing the work ourselves, being able to share the space with others and the animals is something embedded in Jupiter Creamery’s mission and values - to spread awareness about creating holisitc and natural environments for our animals which results in not just nourishing and delicious food, but nourishing and delicious life moments. Stay tuned for more blog posts centered around daily farm life, sustainable farming, raw dairy, and more! As always, thank you for your support! P.S. Be sure to check out information for our upcoming event titled ‘Poultry Workshop’ which will be held on Saturday, March 2, 2019. Limited space is available so be sure to send a message over to Suzie via Facebook if you are certain of your attendance! Feel free to share this post to your Facebook, Twitter, or to a friend via e-mail! We had a fun Open Farm Day! The cows were happy with all the extra attention and treats today. We want to thank everyone for coming out! ‘Like’ Jupiter Creamery on Facebook! We post daily updates on events and volunteer opportunities as well as daily life on the farm.